Looking for a fall themed craft to keep the kids busy? 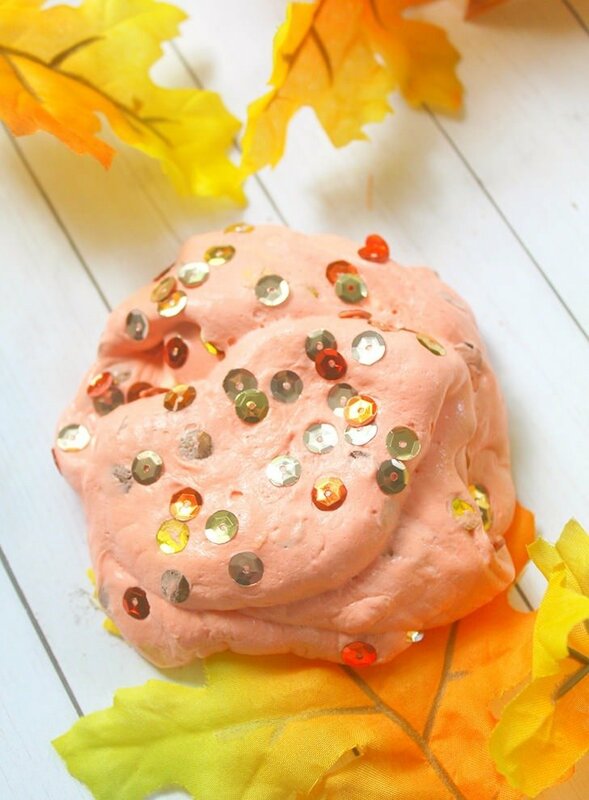 This 5-minute fall slime is quick, easy, inexpensive and ALWAYS a big hit! Happy first day of fall Y’all! I have to tell you, fall is hands down my favorite season. Unfortunately here in the RGV (Rio Grande Valley) Autumn doesn’t really take hold as it does in a lot of places. I miss that crisp, cool fall air, the changing of the leaves (even if they changed from green to dead and pretty much immediately fell off back home in Oklahoma :) and the feeling (and slightly odd but satisfying burning smell) of the heater kicking on for the first time in months. But today, in honor of the first day of fall, it’s slime time, baby. 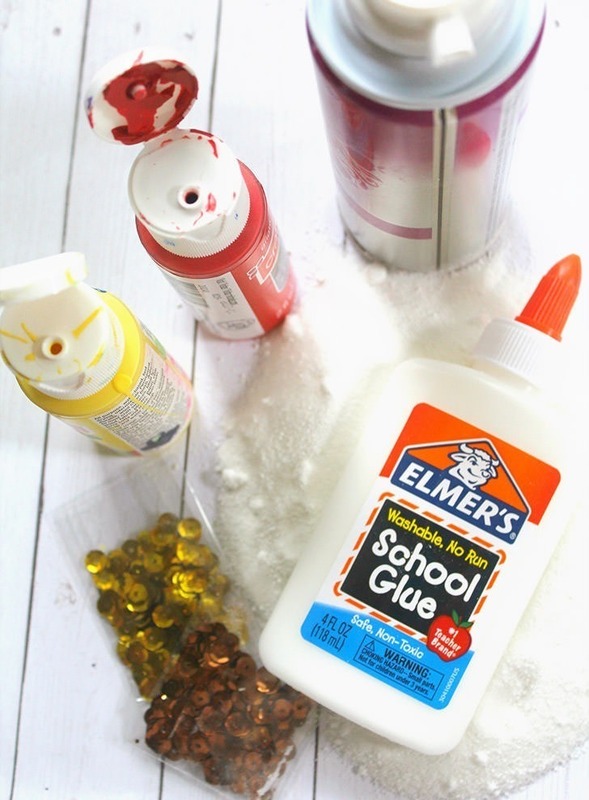 I love slime recipes because it’s easy and quick, often uses things you already have around the house and kids freaking LOVE IT. Even kids that think they’re too old and mature and cool for slime wind up getting wrists deep in the stuff with a huge, goofy grin on their face. Because your kid can sit there and tell me “I’m too old for that” but since I’ve got a good 20+ years on you, I can honestly say that once you see this crafty lady digging in with her smile wrinkles all sorts of bunched up from the sheer happiness of play, well, you’re just never too old, really. 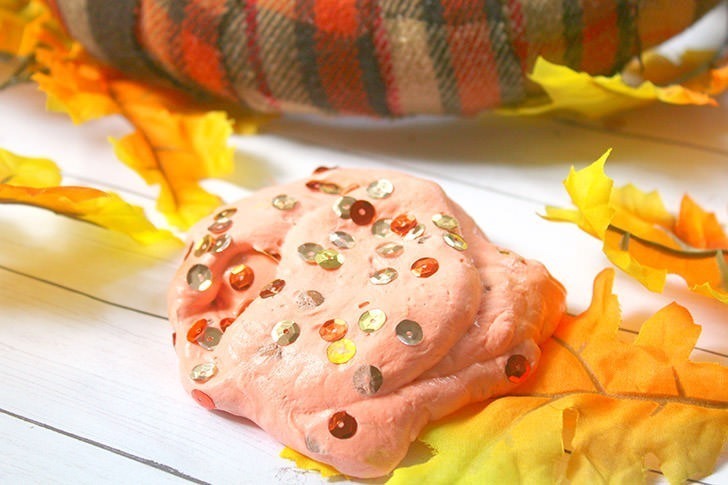 Let’s whip up some Fall Sparkle Slime in just 5 Minutes! This makes up a small batch of a nice, stiff and putty-like slime. 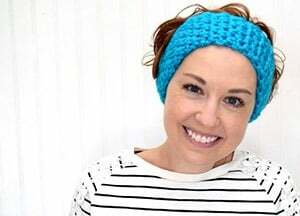 Add-ins are optional (but awesome) and can be changed to use what you already have lying around the house. Mix Borax and hot water together until dissolved and set aside. In a separate bowl mix cornstarch and school glue together. Add a few drops of paint to color. Red, orange and yellow work well for a seasonal slime. For a more fluffy slime, add about a half a cup of shaving cream to the bowl and fold in until well incorporated. 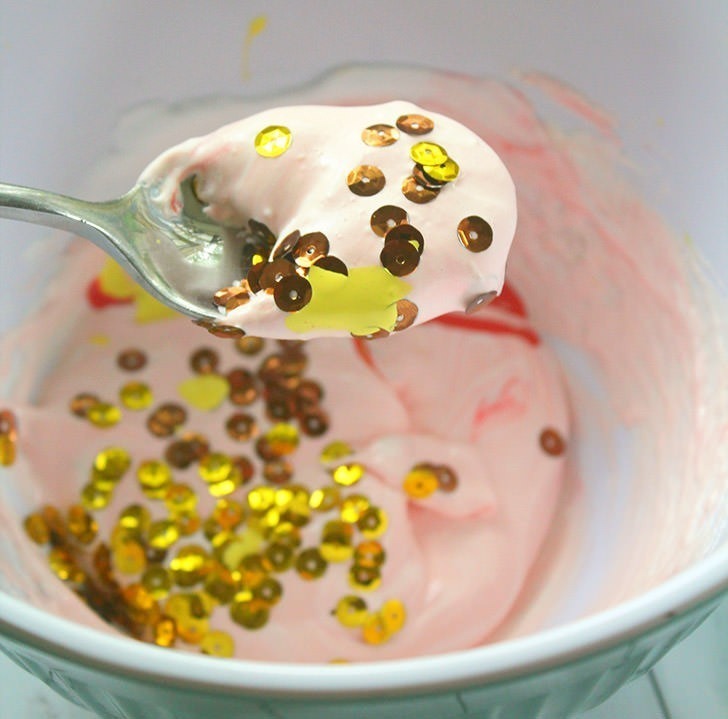 Add your sequins/mix-ins now, or wait and knead them in at the end, if you prefer. Pour the Borax solution into the glue mixture and stir together. At this point, the slime will begin to form. Once it has started to solidify you can remove from the bowl and begin to knead.